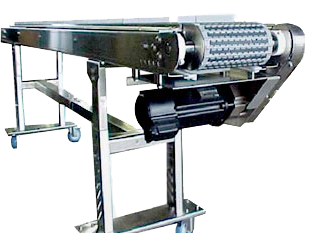 Cheetah Systems is a leader in innovation and manufacturing of flexible modular plastic chain conveyors. We offer the widest range of products in the industry. 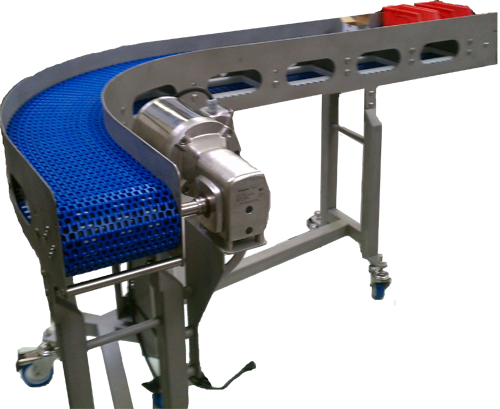 Cheetah Systems modular chain conveyors are produced in many different versions which are assembled to fit your conveying needs. Straight running, inclines, declines, and side flexing curves makes it possible to supply the right conveyor for most any application. Using the latest technologies in frame construction techniques Cheetah Systems can match your existing frame styles or outfit your plant floor with an integrated conveying system designed to your product specifications. Belting materials ranging from Acetal, Polypropylene, Polyester, Polycarbonate and Polyamide are utilized when determining your application parameters. All belt types are available with standard accessories including hold down tabs, product supports (cleats) and side guards. Finger plates are also available to aid in product transfer. Give our technical sales staff a call today to discuss your requirements for conveying and product handling.